Join us for CU Advocacy Day at the Capitol. Become better prepared to promote the university's educational, research, public service and economic contributions, as well as raise awareness about the state's funding outlook and to dispel commonly held myths about CU and public higher education. 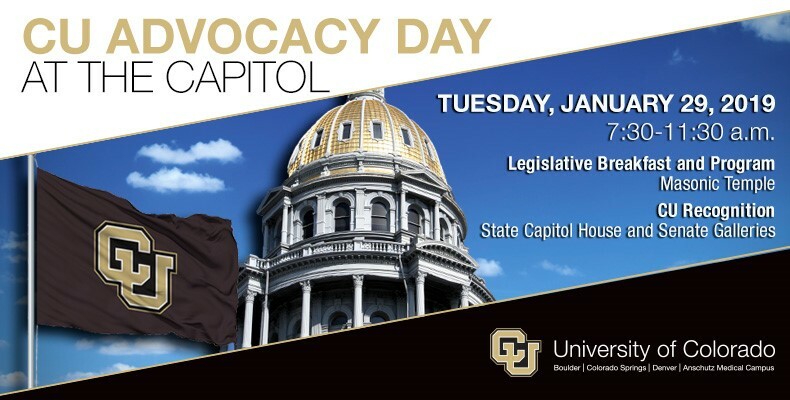 CU Advocacy Day will provide information you need to help influence public opinion about CU and higher education with elected officials and others in your community. The event is hosted by the CU Office of Government Relations and the CU Advocates Program in the Office of the President. Please click the register button below to complete your registration for this event.